Win a $100 gift card from our monthly draw! 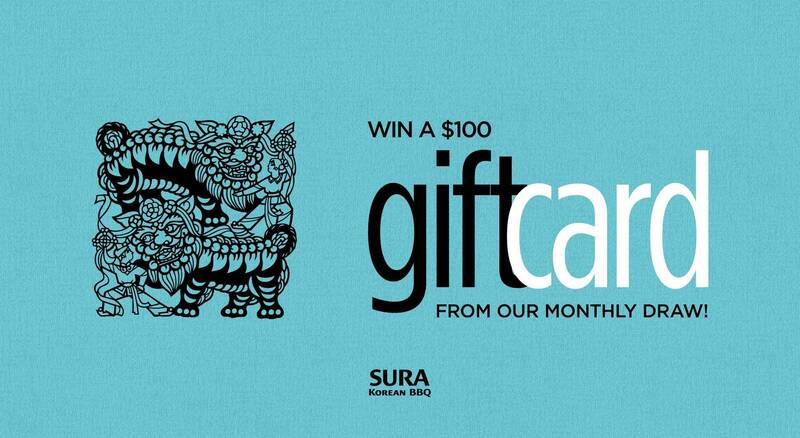 Starting this December 1st, like our Facebook page to enter our monthly prize draw for a $100 #GiftCard from SURA Korean BBQ Restaurant Richmond!! Big thank you for your interest in SURA Korean BBQ Restaurant Richmond, and we hope to see you soon!